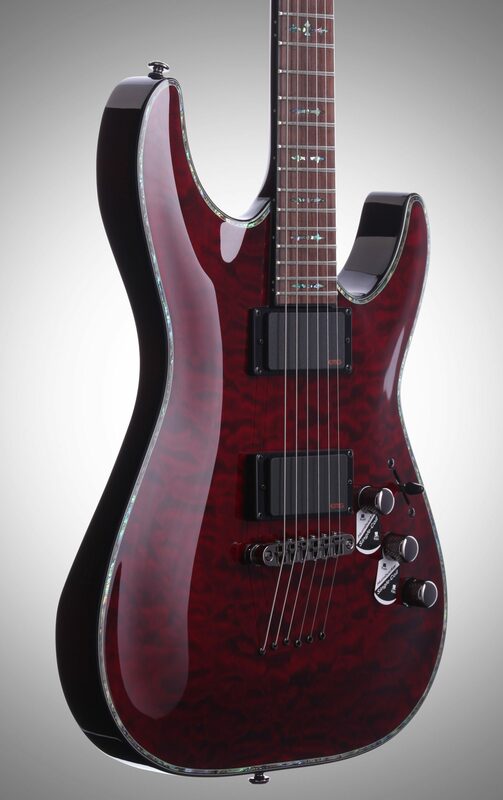 Check out this Hellraiser -- EMG 81/89 humbuckers, a set neck, Quilt Maple top, TonePros TOM bridge, abalone binding, Schecter locking tuners and more. Specs include 24 jumbo frets, 25.5 in. 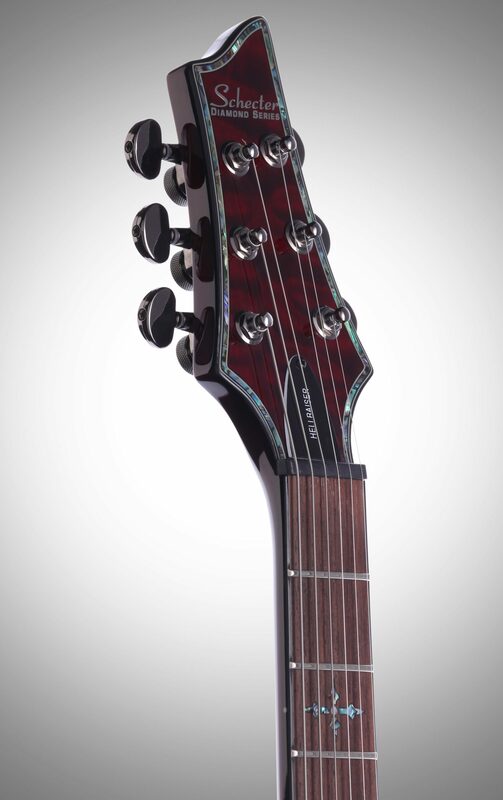 scale, abalone Gothic Cross inlays and black chrome hardware. Sound: It has the versatility to be a Metal Beast, and then with the ability to split the double coil pickups, you get that clean single coil sound. Feature: The features of this guitar are awesome! With the EMG Active pickups, the set neck and the string through body, this guitar has killer sustain and you get clean sounding harmonics. 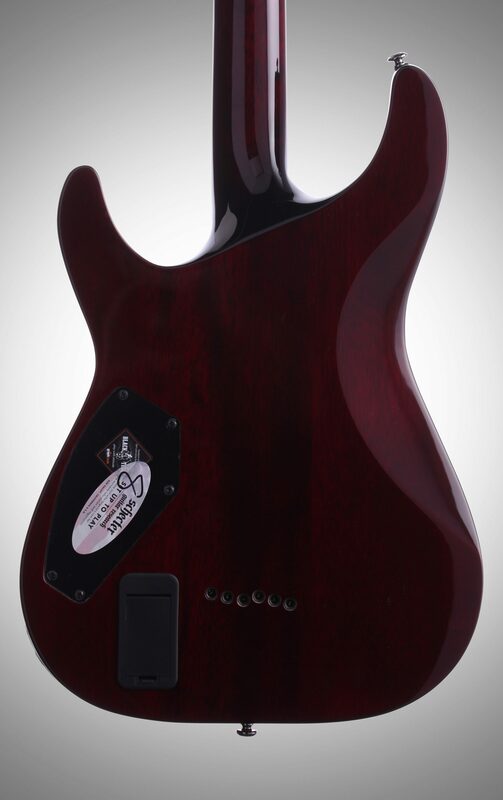 The Mahogany body gives you a nice full sound. 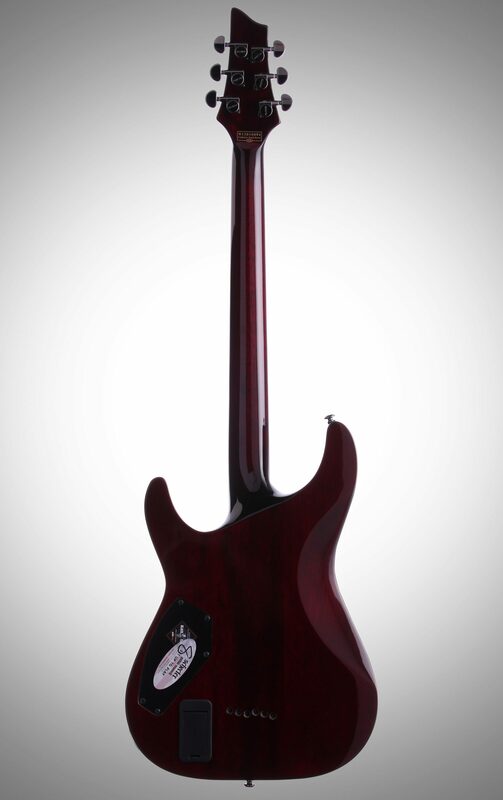 Ease of Use: This thing has a super fast neck, and its easy to reach the 24th frets. Quality: The quality seems to be really good. Nothing falling apart yet.... Value: The value is great for what you get. When you look at the features of this guitar that you get. With the EMG's, Grover Tuners, Set neck and Mahogany body. There are guitars out there with half the features and double the price. Manufacturer Support: Haven't had to deal with support yet, but if they put as much effort in support as they do in the craftmanship, I'd have to say there are no worries there. The Wow Factor: The pictures of this guitar don't do it justice. 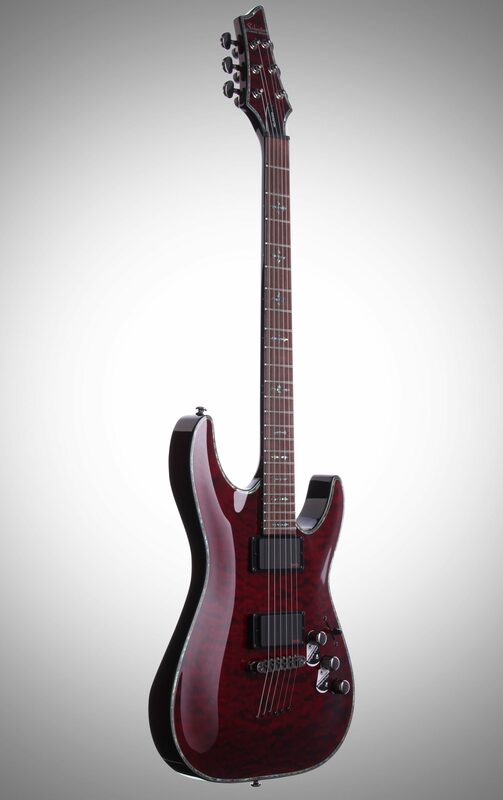 I bought the Black Cherry guitar and I get so many compliments on this guitar just because of its looks. Before I even plug it in. Overall: After buying other guitars, I've always looked around at what other guitars are out there that I liked. Now that I have this one, I feel like I don't have anything else to look for because I've already got the best. 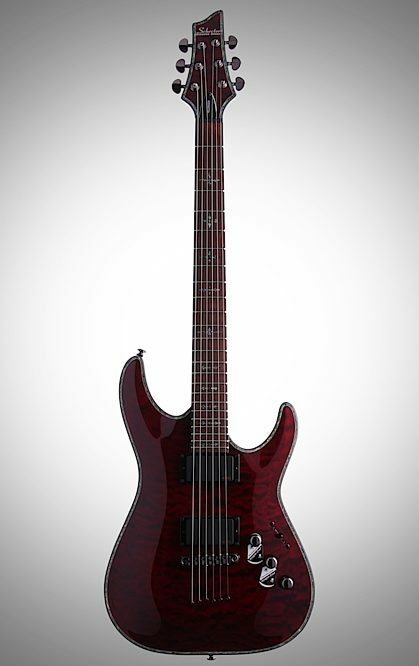 I do have to say that my next guitar someday will definitely be another Schecter. 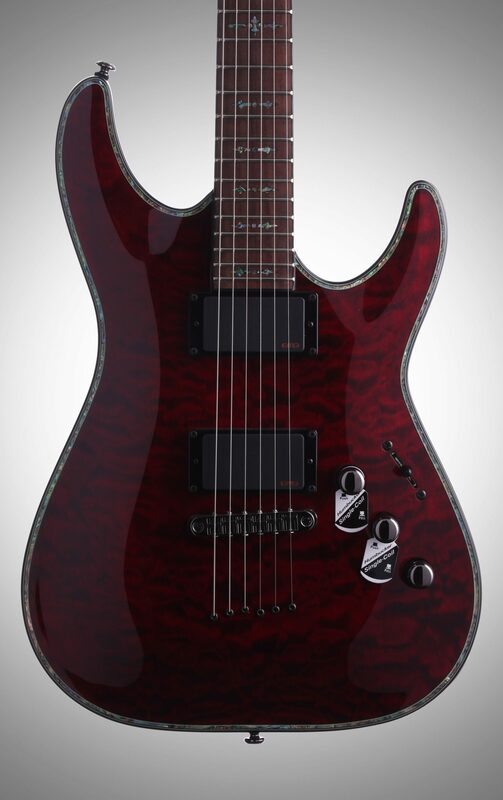 Sound: The Active EMG pickups give this guitar such an amazing tone. The String-thru-body also gives the sound a huge sustain boost. This is definitely one of the best sounding guitars I've played in years. Feature: K.I.S.S. Keep It Simple Stupid. Not too much crap on this bad boy. Split coil taps are pretty cool, especially if you're playing clean. Ease of Use: So easy. Not the lightest guitar in the world, but it plays so nice. Quality: Absolutely solid. It could probably survive a nuclear holocaust. Value: It's a high quality guitar, but it sells at much less than you'd think. It's still expensive though. Manufacturer Support: Haven't needed support yet. 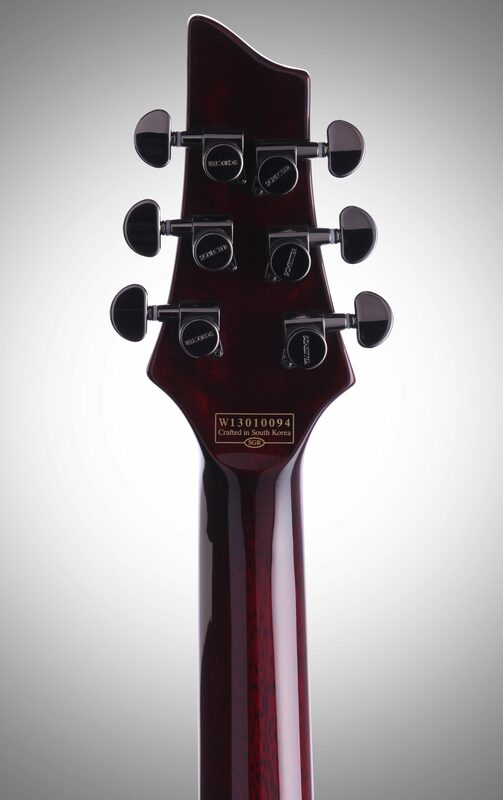 The Wow Factor: It is an incredibly appealing guitar. I bought the off-white model, and I love it. Overall: This will be a guitar I take care of until it spontaneously combusts. It is very well built, I don't think anything is going to fail on me, and it looks too nice to let it fall into a state of decadence.